This is an update to a old blog post from 2006 called Fastest way to uniquify a list in Python. But this, time for Python 3.6. Why, because Python 3.6 preserves the order when inserting keys to a dictionary . How, because the way dicts are implemented in 3.6, the way it does that is different and as an implementation detail the order gets preserved. Then, in Python 3.7, which isn't released at the time of writing, that order preserving is guaranteed. Anyway, Raymond Hettinger just shared a neat little way to uniqify a list. I thought I'd update my old post from 2006 to add list(dict.fromkeys('abracadabra')). Reminder, there are two ways to uniqify a list. Order preserving and not order preserving. For example, the unique letters in peter is p, e, t, r in their "original order". As opposed to t, e, p, r.
What is this mysterious sequence "seq" that you're testing with? Can you please show the *whole* benchmark code? - You say in Python 3.7 "order preserving is guaranteed" but following that link I only see Raymond saying "a guarantee for 3.7 is almost inevitable". Am I missing something again or are you overstating that? - Better remove f2 from the list of functions to test, as it's suuuper slow. - Would be good to include *min* as well, in addition to mean and median. As Veedrac argued at https://stackoverflow.com/a/24105845/1672429 - "all error in timing is positive [so] the shortest time has the least error in it". And *Raymond* uses min there as well (in his answer, the accepted one). - f1, f3 and f9 aren't quite right. They don't return a list but a "dict_keys" view object, which isn't fair, as that takes only O(1) time. 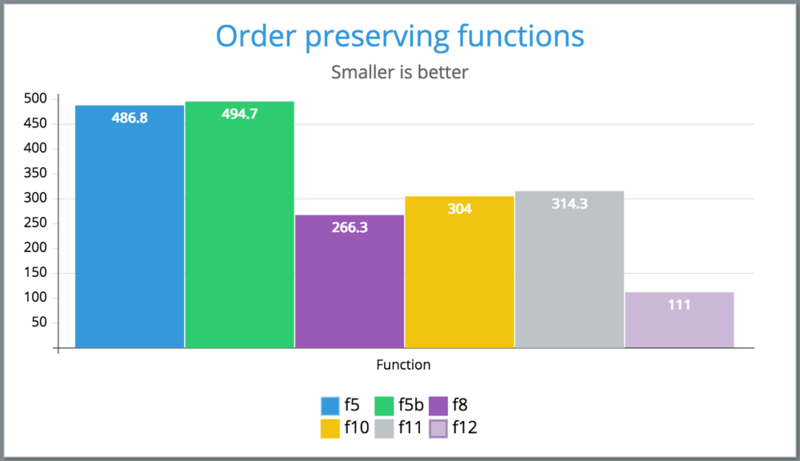 - What makes you think f9 doesn't preserve order? I don't see why it wouldn't, and it did preserve order in some tests I just did, including your script (after fixing the "dict_keys" issue by wrapping "list(...)" around it). - In the comments under Raymond's answer https://stackoverflow.com/a/8220943/1672429 he also very strongly suggested using *min*: "Use the min() rather than the average of the timings. That is a recommendation from me, from Tim Peters, and from Guido van Rossum. The fastest time represents the best an algorithm can perform when the caches are loaded and the system isn't busy with other tasks. All the timings are noisy -- the fastest time is the least noisy. It is easy to show that the fastest timings are the most reproducible and therefore the most useful when timing two different implementations." Nice analysis. 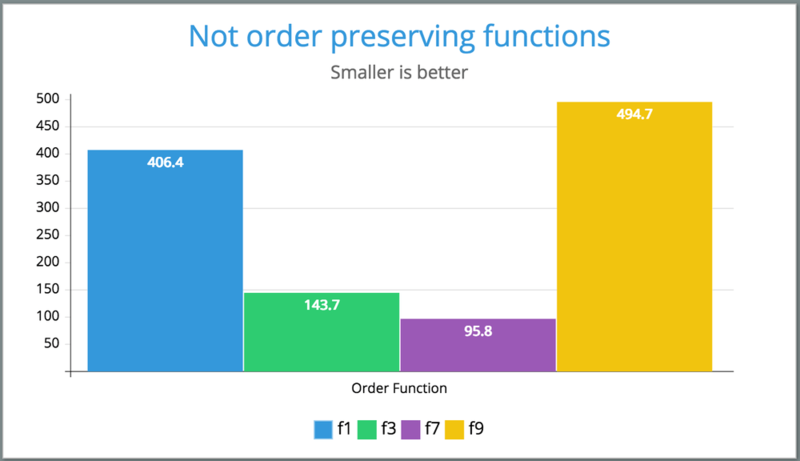 f7 is now order preserving because it's backed by dictionaries, which are now going to be order preserving. Since Python 3.7, insertion-order dict’s are part of the language, as per the “official verdict” by BDFL: https://mail.python.org/pipermail/python-dev/2017-December/151283.html.